The U.S. Department of Energy (DOE) provides funding to contractors for research and development of new technologies. To incentivize participation in federal research projects and promote the use of federally funded inventions, the 1980 Bayh-Dole Act and other laws and regulations allow contractors receiving federal research and development funds to retain ownership of inventions they create so long as they adhere to certain requirements, including disclosing inventions developed with agency funding. DOE’s ability to protect its interests in these inventions—including their utilization and domestic manufacture—depends on its knowledge of their existence. 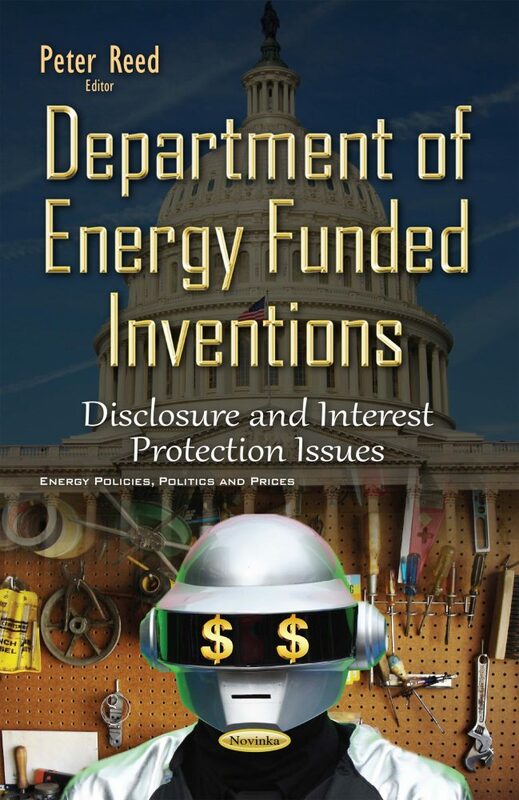 This book examines DOE funding for contractor research for fiscal years 2009 through 2013 and how DOE ensures that contractors disclose agency funded inventions; the challenges DOE faces in ensuring invention disclosure and actions it is taking to address them; and the challenges DOE faces in protecting its interests in these inventions and the actions it is taking to address them. Furthermore, the authors of this book review the policies and procedures used to determine whether march-in authority should be exercised in the Bayh-Dole Act; how the march-in authority has been used; and what barriers and disincentives have been encountered in exercising the march-in authority.